Today I have a card I made using the World Map stamp and some die cutting. I love this layout to add interest to the front of a card. I stamped the main panel with different green and blue coloured inks… This is where a stamp platform comes in very handy! Then I die cut the circles and adhered it to the garden green card panel. 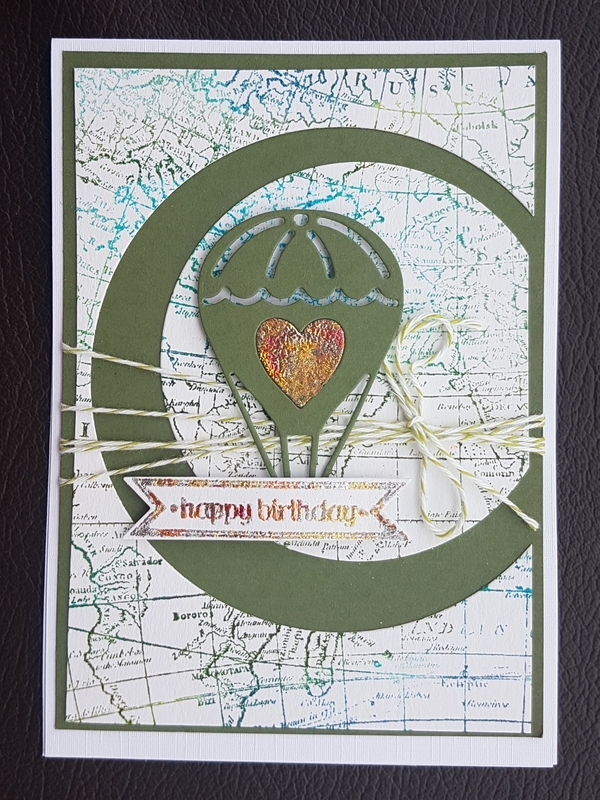 I then took some of the garden green card and die cut the hot air balloon. I then added the gilding flakes to the heart in the balloon and stamped the sentiment and added foiling to that too.